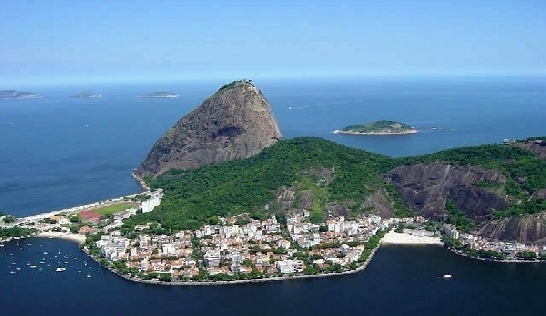 Urca is one of Rio’s quietest neighborhoods and home to Sugarloaf mountain. This route features some beautiful old buildings and views of Guanabara Bay, skirting the base of Sugarloaf Mountain. Begin at the bus stop Avenida Pasteur próximo ao 458 (Bus Route 107 and 581), and turn left onto Ramon Franco Street. When Ramon Franco St. ends, bear right onto R. Mal Cantuária and follow this to R. Cândido Gafree. This will lead you to the end where you’ll find Bar Urca (known for its beer and fried delights). If you’re tired, this is the place to take a rest! Head back to where you came from along the water on Av. João Luís Alves. This is very hilly!